Steph started knitting at the age of 6 and hasn't put her needles down since. She started writing her own patterns about 15 years ago. One of her sweaters even made it to the Smithsonian. She lives in Fosston and owns the Northern Woolen Mills. Mary received her first set of knitting needles and yarn at the age of 12. She have been in love with the art ever since. 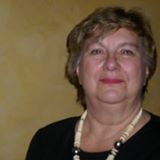 She has taught for Little Falls Minnesota community education and currently teach knitting classes and techniques at the Old Creamery and Yarn Shop in Randall Minnesota along with yarn dying and pattern writing. Kendra learned naalbinding from YouTube and has been teaching for 7 years. She teaches at SCA (Society for Creative Anachronism) events and demonstrates at Caponi Art in the Park. 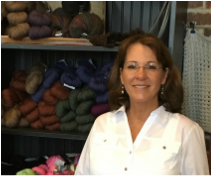 Kathy taught herself to knit over 25 years ago and quickly became interested in designing her own patterns. She is obsessed with designing and knitting mittens and has 30 different mitten patterns available. She lives in Minneapolis and is a member of the MN Knitters’ Guild. Candace is an artist working in many mediums, including wool. She has been needle felting for a number of years, working in both 2-D and 3-D. She applies the skills she has developed in painting and sculpting to her work with wool. Samples of her work are available on Facebook, www.osbornartistry.com, and for sale on Etsy in the Osborn Artistry shop. Anne fell in love with fiber art as a child, learning to knit from her grandma and to embroider from her mother. She has been able to expand her fiber repertoire while participating in the medieval recreation group, the SCA (Society for Creative Anachronism). She loves to take every opportunity to spread her love of fiber arts. Julie Zilka is a fiber generalist who specializes in knitting, spinning, and weaving, although she experiments with all aspects of textiles. 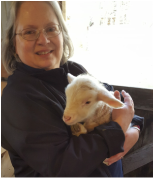 She is a member of the Weavers Guild of Minnesota and is currently a board member of the Sustainable Sheep and Fiber Community of Northern Minnesota.